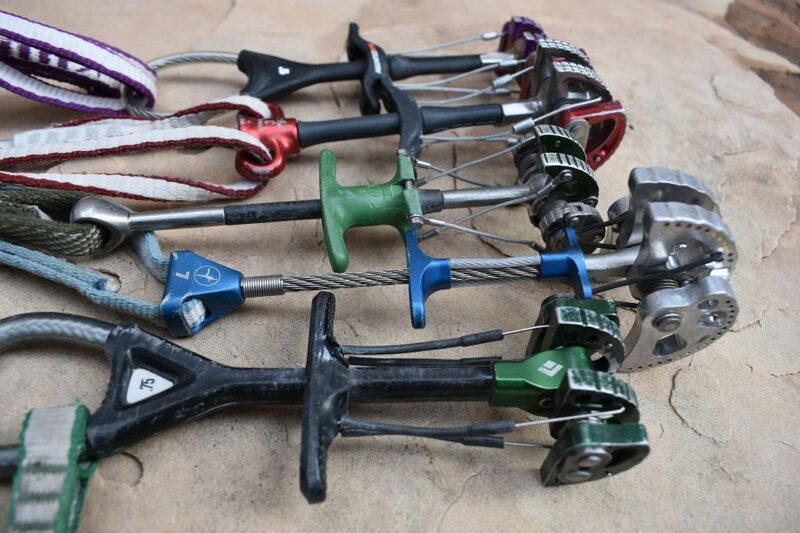 Six cams were tested in the climbing cam category in 2018. 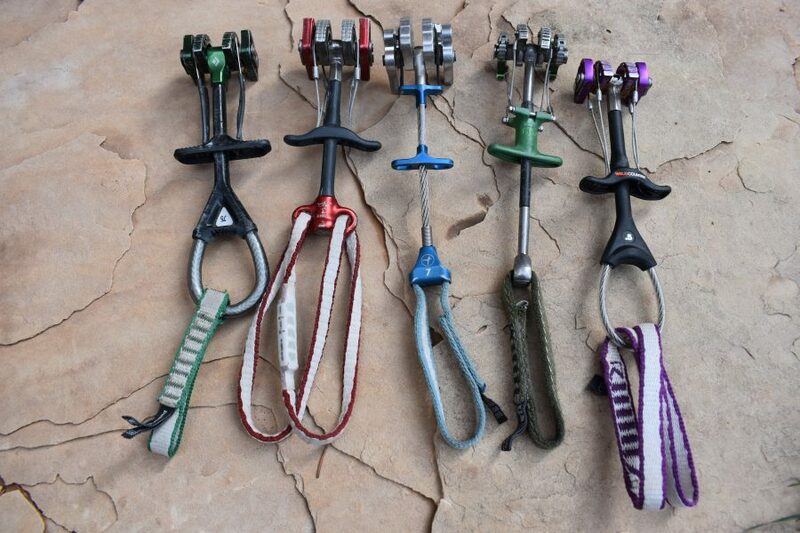 Cams were used by a wide array of climbers on dozens of climbs, primarily on sandstone and granite. 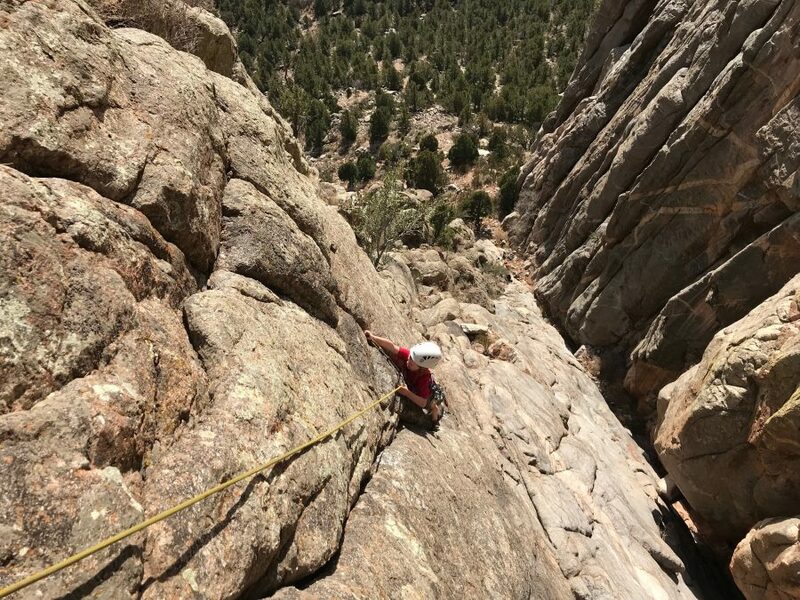 Climbers, both new and experienced, were used to solicit feedback while on single pitch routes and multi-pitch routes. We tested the cams extensively in the field but also came up with some in-house testing to help gauge things like a cam’s stability. Every cam was used by many hands in the field and a consensus was reached to score cams on their ease of use when placing and cleaning, or ergonomics, and the features offered. A combination of categories as well as the number and range of sizes available and flexibility of the cam helped us arrive at a score for a cam’s versatility. Compared to first and second generation camming devices, modern day cams have come a long way and today there are many fine cams to choose from when building a rack. A look at the climbing cams considered during testing for the climbing cam category in 2018. 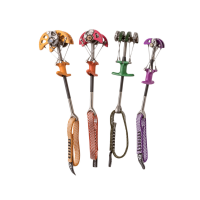 From left to right, Black Diamond Camalot Ultralight, DMM Dragon, Metolius Ultralight Mastercam, Omega Pacific Link Cam, and Wild Country Friend. The Wild Country Friends offer great ergonomics, stability and popular features with testers. Friends stood out for ergonomics and ease of use with their spacious, contoured and featured thumb loop and curved trigger bar. Great stability was provided by the double axle design, non-anodized and square cut cam lobe teeth and patented hollow axles for stiffer axles. The extendable double slings were easy to use and helped add stability and give versatility. While not the lightest cams tested, the Friends offer a lot of features seen on a heavier cam and their biggest drawback may be that they are only available in seven sizes. The Metolius Ultralight Master Cams are a lightweight cam with ten sizes to put on your rack, from cams smaller than your fingertips to fist size. Durability is good with solid cam lobe and stem construction and tough Kevlar trigger wires. 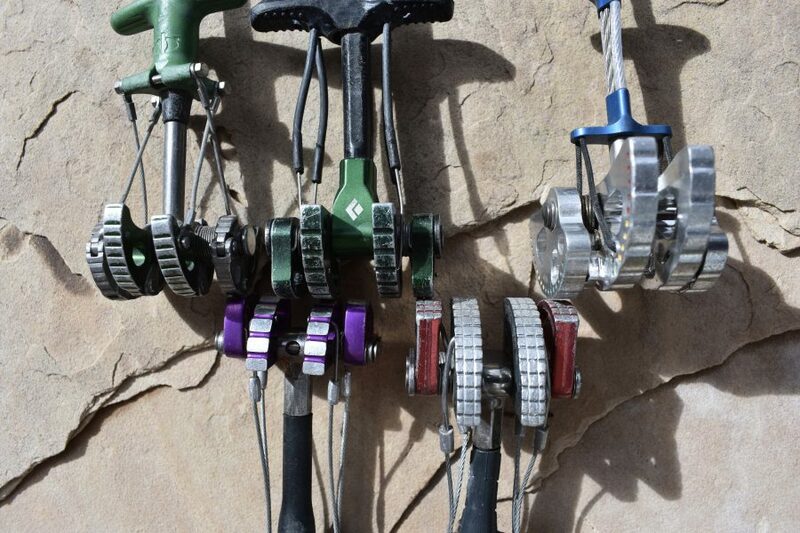 The Range Finder system provides color coding to help new climbers find the right fit for cam placements. They are less stable than the other double axle cams tested, particularly in the larger sizes, and their ease of use and ergonomics scored lower with testers due to the lack of a thumb loop and a small trigger bar. The DMM Dragon Cams are a stable double axle cam with an extendable sling built into the thumb piece that doesn’t sacrifice strength when extended. The TripleGrip cam lobes are the widest cam lobes out of the cams tested and feature square cut edges and a non-anodized surface to increase stability and holding power. While the extendable sling was harder to use than others the Dragon Cams are built with durability in mind but that also made them the heaviest cams tested. The Black Diamond Camalot Ultralights are the lightest double axle cam on the market and cut 25% weight from their popular C4 predecessors. A spacious, featured thumb loop and wide trigger bar make them easy to place and remove. The traditional metal cable stem is replaced with lightweight Dyneema while other elements of the cam have been pared down to shed grams. With those weight savings come some concern about durability and a 10 year lifespan for the cam along with a stiffer stem and sling that caused them to be less stable than other double axle cams tested. Omega Pacific Link Cams stand out as offering the widest camming range of any cam on the market thanks to the trisected cam lobes, meaning where another company will only have one cam to fit in a placement the Link Cams may have three cams that can fit the same placement. This makes them great for building gear anchors, as a crux piece or when you only want to carry a couple of cams but be able to fit a wide range of placement area sizes. Poor stability and ergonomics compared to other cams as well as the weight of the Link Cams make them less likely that you’ll want to carry multiples of them, instead they serve as a great compliment to a rack. The Fixe Alien Revolution cams are a lightweight cam with a super flexible stem and narrow profile that make them ideal for small, shallow placements as well as horizontal placements. A contoured trigger bar and spacious thumb loop make them easy to place. Available with a single or extendable sling provides a lot of options for buyers along with offset or hybrid versions that excel in flared placements such as pin scars. With six sizes available they are limited in their versatility beyond small cracks. Our test results came after dozens of days of field testing on desert towers, high alpine routes in the mountains, granite single and multi-pitch and hours spent testing and handling cams during in-house testing. After arduous use, much debate and averaging out opinions the Wild Country Friends came out on top but was followed close behind by the Metolius Ultralight Master Cams. Both offer great features, performance and versatility. Testers loved the wide camming range found in the Omega Pacific Link Cams and the DMM Dragons were a hit with those wanting a durable, workhorse cam. Finally, the Black Diamond Camalot Ultralights were easy to add to any rack due to their lightweight and great ergonomics. 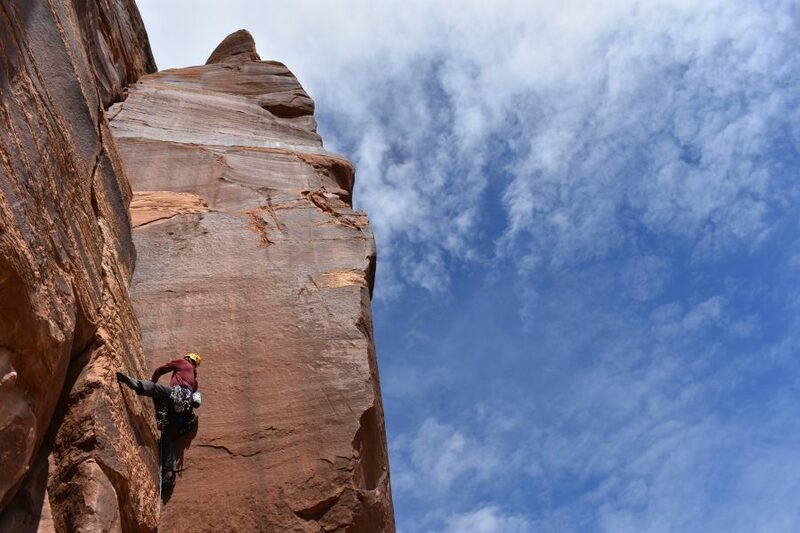 Field testing a bunch of cams on a desert sandstone crack. 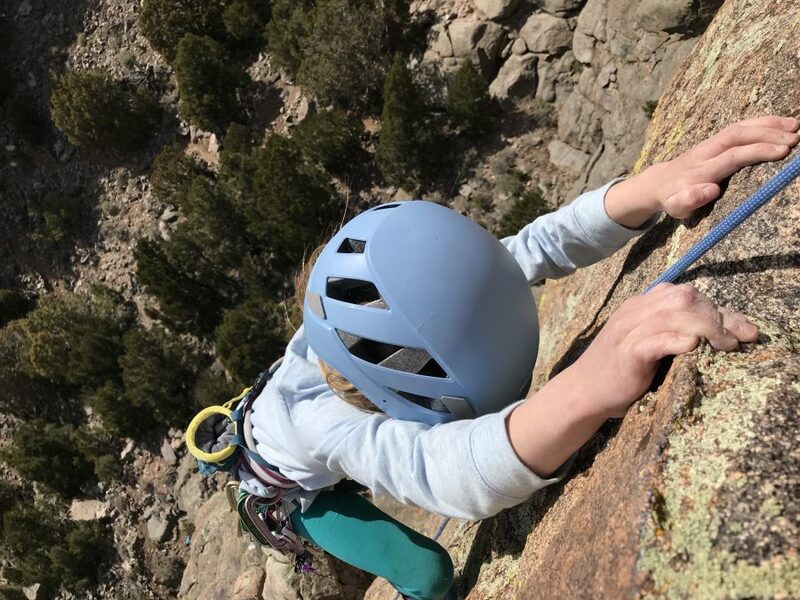 Climbing cams have long been popular with climbers due to their ease of use, hence the general ergonomics of a cam’s design and features are significant factors in determining if a cam is to be popular with testers. The ability to be easily placed and cleaned from a crack is what many climbers are looking for in a cam and our testers found features and design elements that they liked but also some they would like to see improved. The thumb loop or tab is a key piece in a cam’s ergonomics as, used with the trigger bar, it’s what allows a cam to be placed and cleaned from a crack. In general, testers favored thumb loops for their ease of use compared to thumb pieces or tabs and they favored trigger bars that were wider or had some contour or texture to them to aid in their use. The Wild Country Friends scored the highest for ergonomics as testers raved about the wide, textured thumb loop and spacious trigger bars that are curved and textured to provide easier purchase. Close behind were the Black Diamond Camalot Ultralights, who have a similar thumb loop and fall behind the Friends in large part due to a flat trigger bar that wasn’t as easy to use. Cleaning a cam from a crack and making use of the Wild Country Friends’ spacious thumb loop and curved and featured trigger bar. 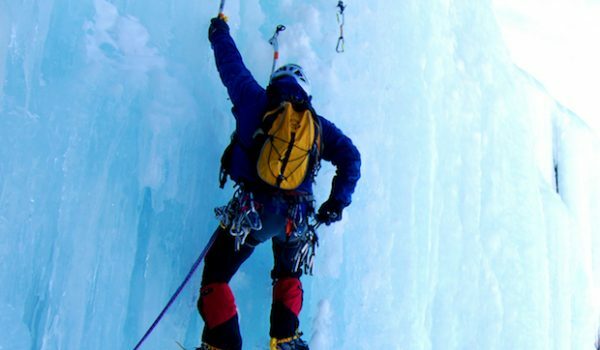 Cam stability is another key component of what climbers look for when considering a cam. Cams that are prone to walking, as it is commonly referred to, can move out of place and reduce their holding power or get into a position where they are hard to reach or clean. In general, double axle cams proved the most stable but during our testing, both in the field and in-house, we also honed in on other factors that are prone to affecting a cam’s position, such as the sling used and how it’s attached to the thumb loop or piece. 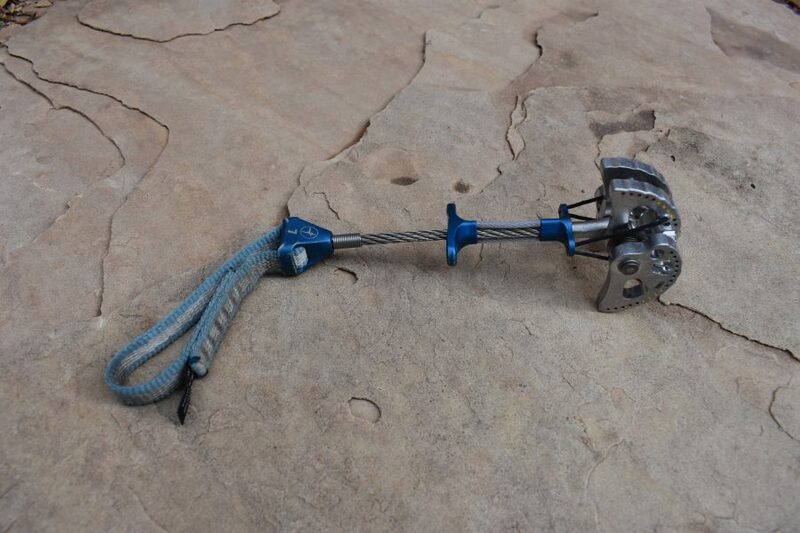 As a result of our testing, the double axle Wild Country Friends won the award for best stability in part due to the extendable sling that is connected loosely to the thumb loop, allowing movement of the carabiner and sling while, relative to other cams, minimizing movement of the cam. Close behind the Friends were the DMM Dragons which also benefited from a double axle design. While during in-house testing we were able to better control test results we still observed and made note of cams that were more prone to moving and came close to losing some cams when they walked into difficult positions that required careful extraction. Testing cam stability during in-house testing with our adjustable crack device and a section of rope that was pulled through the carabiner on the cam. Nothing is meant to last forever with climbing gear but some of it holds up better than others. Some cam lobes were more prone to wear and components such as slings and trigger wires could suffer an early demise. The DMM Dragon Cams were found to the most durable with the widest cam lobes in our testing, a cable stem that is protected from damage by plastic and a thick, stout thumb piece. Additionally, the trigger wires are coated to prevent damage and they held up through all manner of use and abuse during testing. The DMM Dragon cams were the most durable cam tested thanks to wide TripleGrip cam lobes, a cable stem protected by plastic and the stout construction of the hot forged thumb piece. The Metolius Ultralight Master Cams feature kevlar trigger wires and the wires on the trigger piece are also coated, making them a durable option. The Black Diamond Camalot Ultralights use a thinner trigger wire than Camalots of the past but they are also covered like DMM and Metolius cams are, giving them better longevity. Some slings on cams showed signs that they would need to be replaced sooner than later, as is common with many of the skinny, lightweight slings used on cams such as the Dragons or Wild Country Friends. While cam companies don’t typically advertise a lifespan for their product, other than regular replacement of the slings, the Camalot Ultralights are unique in that the Dyneema core stem includes a ten year lifespan, limiting their longevity. A look at our test cams with features such as trigger wires that are coated or made out of kevlar to increase durability and avoid pesky failures in the field. A cam’s range, flexibility, features, performance, weight and the number of sizes available can affect its versatility. 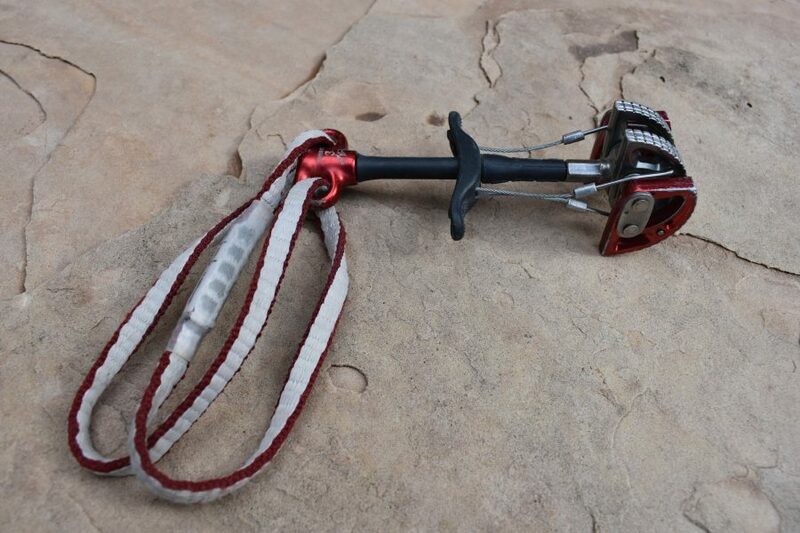 While some cams may excel at single pitch climbing others may be better for longer adventures or they may be best for a narrow range of objectives if they serve a small niche as a compliment to other cams on a rack. In our testing there was no clear winner for versatility as many cams offered features or performance that gave them a broad appeal. 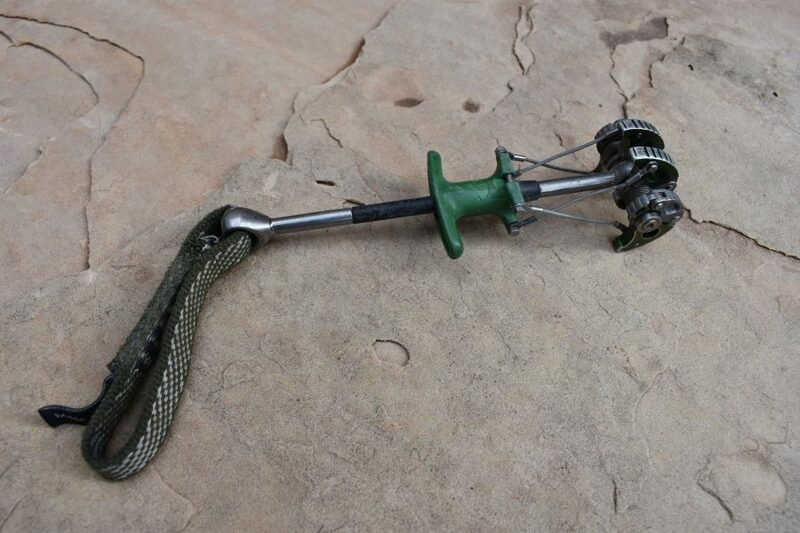 The lightweight and effective ergonomics of the Black Diamond Camalot Ultralights gave them great appeal for long climbs and climbs requiring many pieces of gear but a less flexible stem, concerns about durability, only six sizes available limited their broader appeal with those looking for a rugged single pitch climbing cam. The Metolius Ultralight Master Cams offer great versatility for their lightweight, durable components and wide range of sizes fit by the ten sizes offered. Testers appreciated the DMM Dragons for their durability, stability and extendable slings but their weight gave pause to those looking for a cam for long routes or extended trips into the mountains. 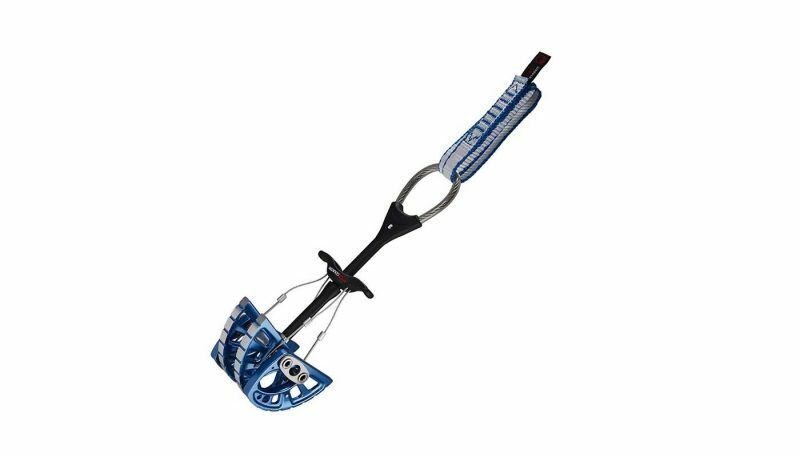 The Ultralight Master Cams from Metolius offered the most sizes—a range of 10—of any cam tested and their lightweight construction and durable components appealed to many. Stability concerns and not having larger sizes were their drawback. Wild Country Friends offer great ergonomics, stability and extendable slings but with only six sizes available climbers will still need to seek out another cam to fill in the gaps for the smaller sizes and the larger. 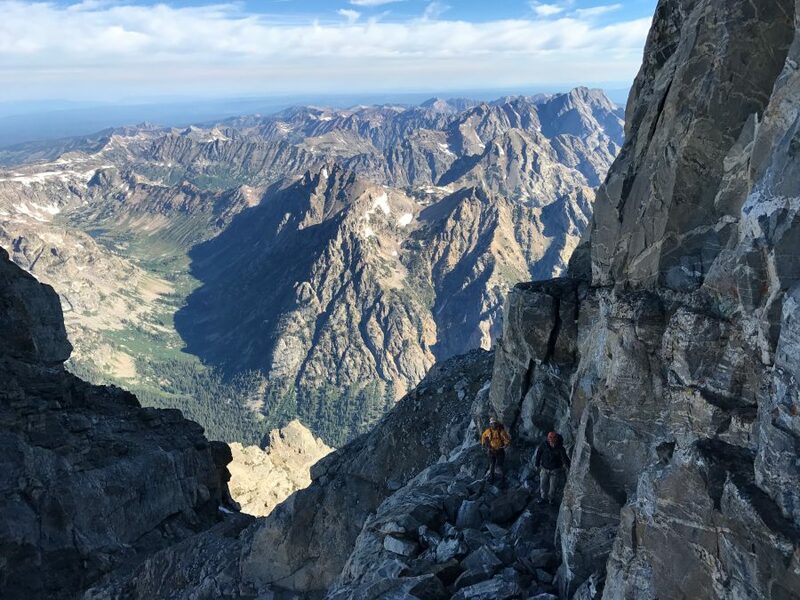 Climbing on the Grand Teton, an objective that cams are well suited for but for which certain cams may be better suited. 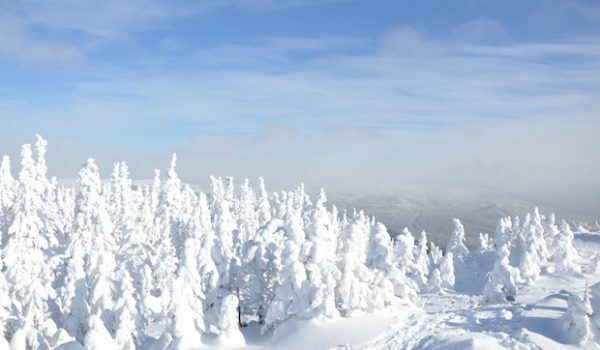 Today cams can offer a range of unique features and construction attributes that can improve their performance and their appeal to climbers to shed old cams. Extendable slings were popular with many testers for the easy option they offer to help the rope run smoothly, such as those found on the Wild Country Friends and DMM Dragon Cams. Friends also offer patented hollow axles on all but their smallest size, which they claim to be lighter and stiffer. The Omega Pacific Link Cams’ unique, trisected cam lobes allow them to fit a far wider range than any other cam on the market. All but the Metolius cams offer color anodized lobes to make finding the size you want easier but DMM and Wild Country left the lobe surfaces free of anodization and created more square cut cam lobes that they argue increases stability and holding power. The Ultralight Master Cams features a “shark fin tooth pattern” to increase holding power and their color coded RangeFinder system stands out as a unique feature to help climbers find the right fit for a cam. The Link Cams from Omega Pacific offer the feature that may stand out above all with their trisected cam lobes that allow the cams to fit a far greater size range than any other cam on the market. 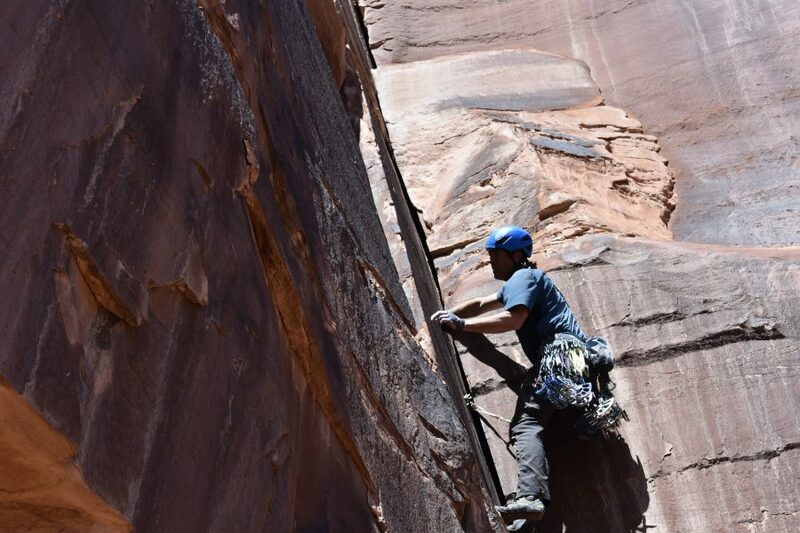 Climbing a desert crack when various design features may come in handy. The trend in the climbing world has been to make gear lighter and lighter and climbing cams are no different. An increasing number of companies offer lightweight versions of their cams or they have made efforts to shed weight from their existing line. 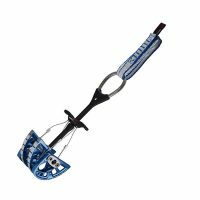 This weight savings can add up, particularly when taking multiples in sizes for desert splitter cracks or when loading up a pack with overnight gear for an alpine climb. The ounces saved on individual cams can add up to pounds or, at the very least, take away some of the question about whether or not you want to add a piece or two to a big rack. Companies such as Black Diamond and Metolius have shed 25% weight from their previous cams in their lightweight versions. That weight savings can be close to half a pound in a single rack of cams but for long routes it’s easy to have a double or triple set, meaning over a pound of weight savings with the lightweight versions. 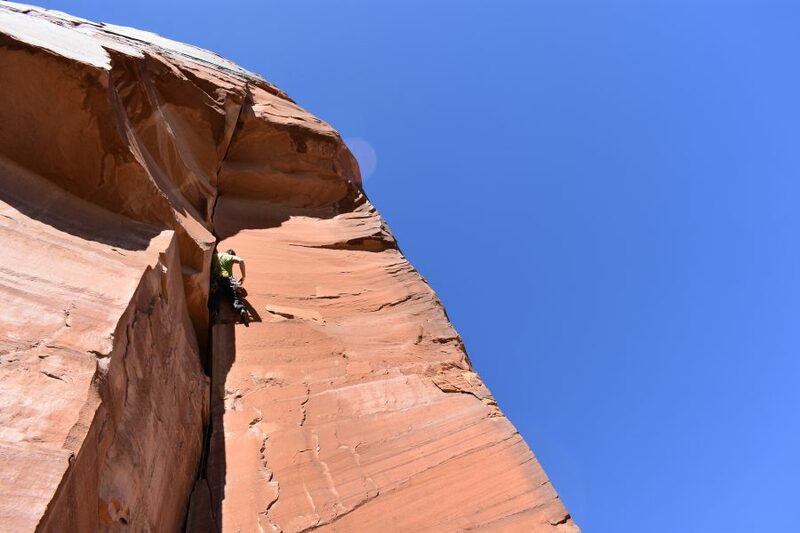 The weight of cams can add up, particularly when racking up multiples in one size or more, as happens on desert sandstone splitter cracks such as the one pictured. 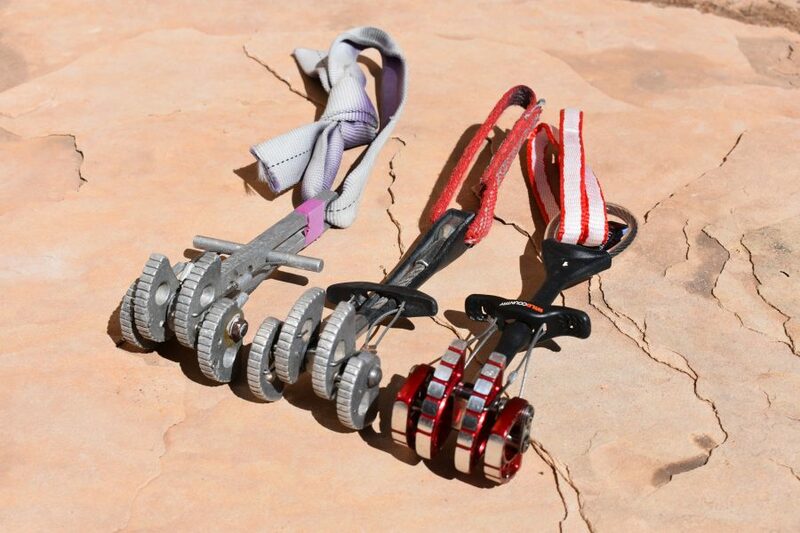 These cams went through a number of in-house tests for controlled and measurable metrics and were used by a number of climbers in the field with varying experience levels and interests. Their feedback provided the information to best understand how each cam performed. 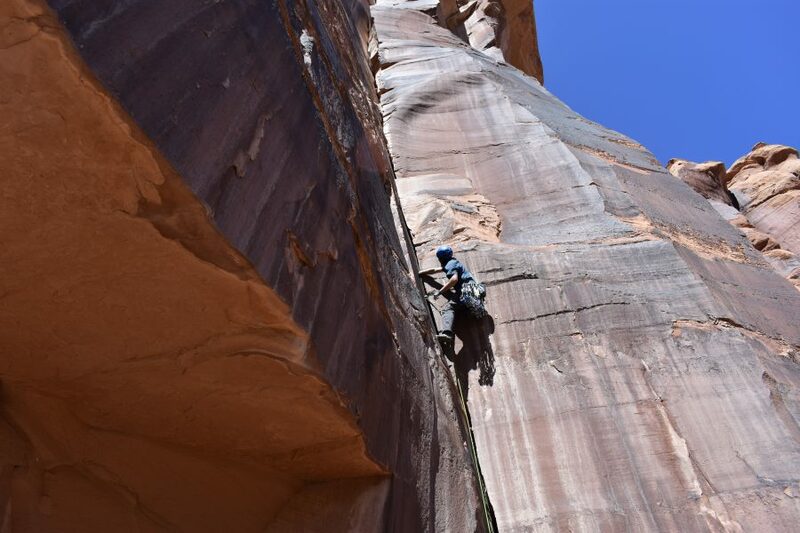 We spent a lot of time climbing single pitch cracks but an equal amount of time climbing multi-pitch routes in the mountains or in the desert. We paid close attention to how cams handled when being placed or cleaned and by various climbers to gain a sense of each cam’s ergonomics and ease of handling. We looked for signs of walking and stability when placing cams in various cracks of all different sizes. Field testing cams with climbers young and old, hands big and small. 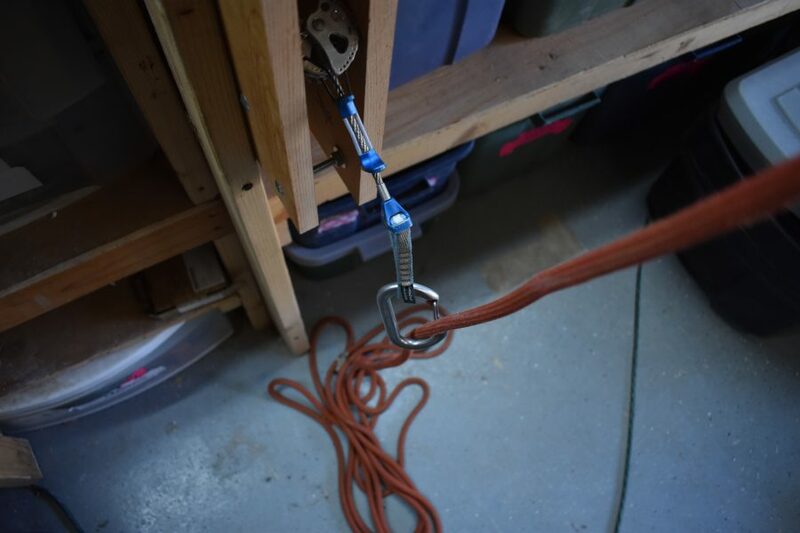 To test a cam’s stability we used field testing but we also pulled hundreds of feet of rope through a carabiner attached to the cam while placed in an adjustable crack made of wood. We tested different sizes of cam from each manufacturer and at different spots in their range, from tight to loose. We took pictures and notes to record the movement of cams and made careful observation of what happened to the cam when the rope moved through the carabiner to help determine why some cams were more stable than others. From all of this testing we compiled feedback from climbers about features and each cam’s relatively versatility. Testing cam stability during in-house testing with our adjustable crack. What is a Climbing Cam? 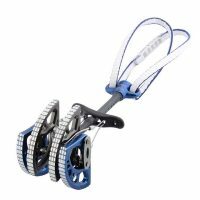 Commonly referred to as cams but more formally called spring-loaded camming devices (SLCDs), they’ve become a standard on nearly every climber’s traditional rack. Technically speaking the word cam describes “a projection on a rotating part in machinery, designed to make sliding contact with another part while rotating and to impart reciprocal or variable motion to it.” Technically by that definition, hexes and C.A.M.P. 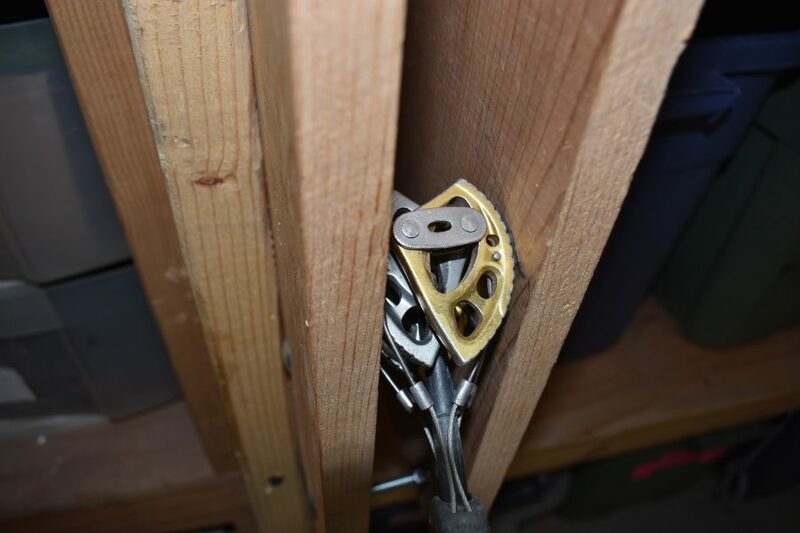 Tricams placed to cam into a crack rather than merely sitting passively in a constriction are cams as well. 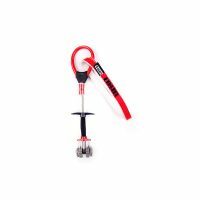 But, more commonly when climbers talk about racking some cams for a climb they are referring to the spring-loaded devices. A historic look at Wild Country Friends cams, from their early forged stem to their flexible stem and their most recent, modern incarnation with double axles. Ray Jardine famously created the spring-loaded camming device that looks akin to our modern cams and began producing and selling them in 1977 as the Wild Country Friends. Jardine’s creations were a revolution in climbing protection, enabling climbers to more easily place and remove gear and more importantly, to better protect parallel sided cracks where stoppers and hexes of the past were limited to finding constrictions. Jardine used them to great effect on previously difficult to protect climbs in Yosemite National Park, including one of the world’s first 5.13s, The Phoenix. The name Friends came from Jardine’s secretive trials with his newly engineered prototypes which he kept hidden from outsiders’ view. Lacking a name for his creation he was memorably asked by a partner if he had brought his “friends” along for a day of climbing and the name stuck. While “cam” may be the more general and popular term used you may run across climbers or guidebooks where the term “friend” is used to describe the use of SLCDs. A progression of Black Diamond Camalots historically from a couple of the original U-stem models on the left, a single stem version in the middle, a C4 with a thumb loop second from right on the far right the Camalot Ultralight. 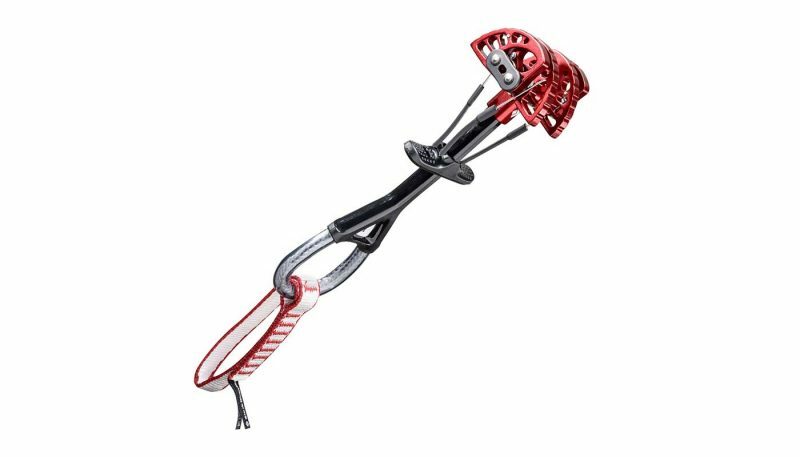 The original Friends used a rigid stem but Metolius was the first to use a flexible cable stem. 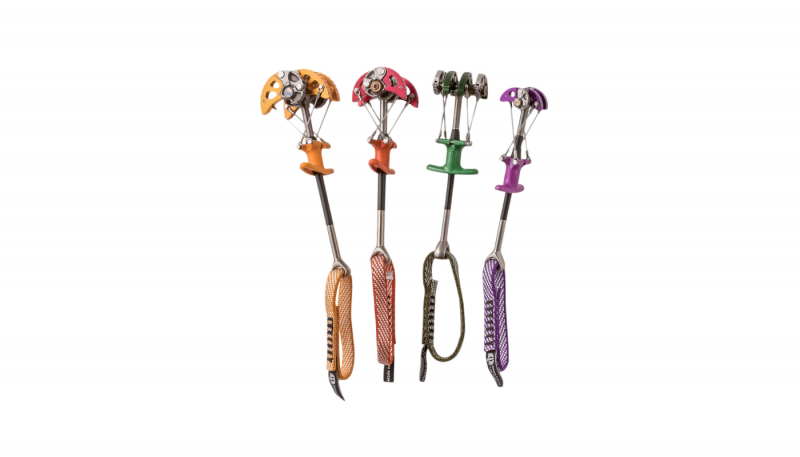 While the original Friends had four cam lobes, such as most cams produced and manufactured to this day, Metolius was also the first to create a three lobed version to fit in shallower placements. In 1987 Black Diamond introduced the Camalot, offering a double axle that increased the range offered compared to single axle models. Black Diamond’s Camalots have been a popular choice on many racks and hence today many companies have copied their color coding for sizes, such as is the case with modern Friends and DMM Dragons. Today climbers have a wide array of cams to choose from and the characteristics and features of each make some cams more widely versatile while others fit a more specific niche. Most companies focus on producing cams with four lobes and an increasing number of companies offer dual axle models to rival the popular Camalots. Four-lobe cams provide greater surface area that contacts the rock and should offer a more secure placement. Meanwhile, three-lobe cams, often referred to as TCUs, lose some security due to less surface area but can fit shallower placements and make use of otherwise difficult to protect cracks. Some cams, such as Aliens, seek to strike a balance by offering four narrow cam lobes to better work in shallow placements. Offset or hybrid cams utilize two different sized sets of cam lobes, creating a cam that excels where other cams struggle when faced with flared placements or old pin scars. 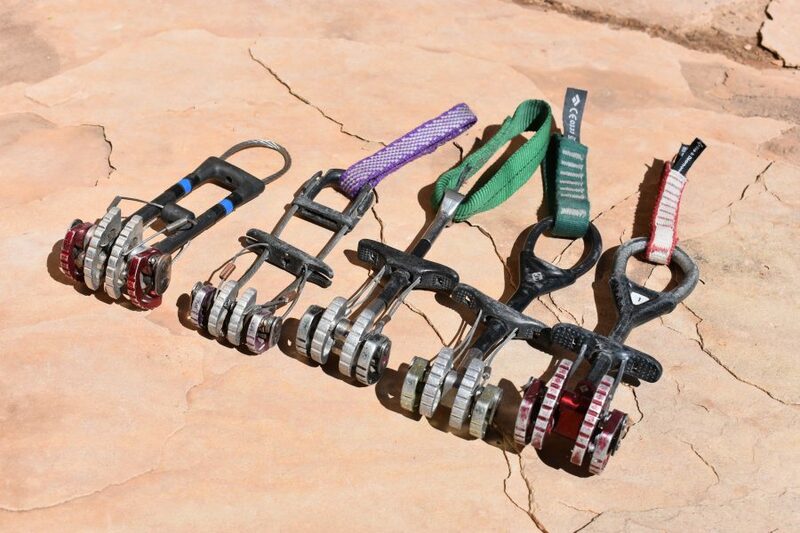 Black Diamond, Fixe, and Metolius offer offset cams, popular with aid climbers for the flared pin scars found in places like Zion and Yosemite but also with an increasing number of free climbers looking to more securely protect flared cracks. Closeup of cam lobes with (clockwise from top left) Omega Pacific Link Cams, Black Diamond Camalot Ultralight, Metolius Ultralight Master Cam, DMM Dragon and Wild Country Friend. The original Friends utilized a rigid metal stem that was both heavier and more difficult to use in horizontal placements. 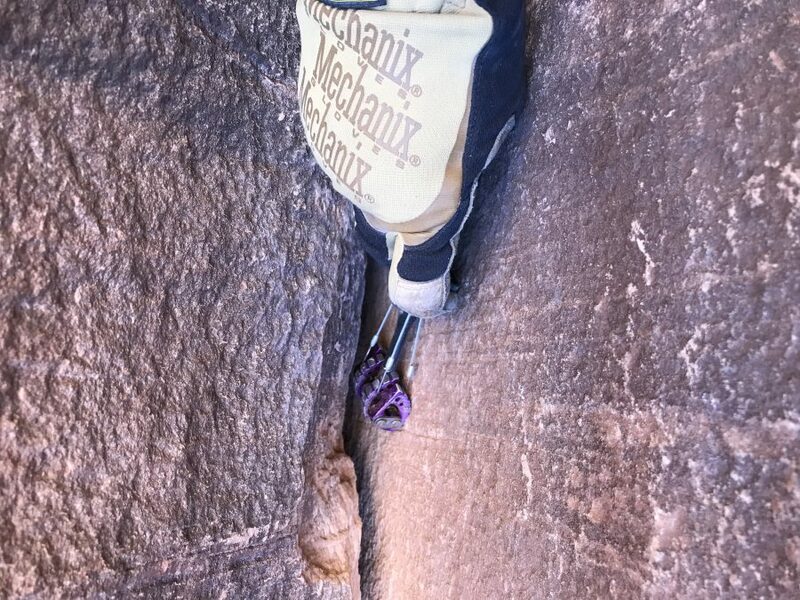 Particularly in areas such as the Gunks, where the horizontally banded rock necessitates a lot of horizontal placements, the rigid stems had to be tied off short to avoid levering the stem and negatively affecting the placement or potentially breaking the stem in a fall. Today all cams use a flexible stem, typically with the use of a metal cable, allowing for easier and more secure horizontal placements but also in vertical placements where constrictions and other features may impede a placement due to the stem. All cams are operated with a trigger bar that retracts the cam lobes so that the cam can be placed. These trigger bars are made with either plastic or aluminum and can come in a variety of shapes and sizes with features such as contours, curves or textures to aid in their use. These features, used in conjunction with a thumb loop or piece, can greatly affect the ergonomics of a cam and contribute to the ease by which they are placed or removed from a cam. Cams have either a thumb loop or thumb piece, the former offering a wide and spacious place that can help hold your thumb in place when in use. Thumb pieces can come in a variety of forms and, as with thumb loops, include a number of design features such as contours, textures and various sizes to aid in the use of the cam. Climbing a long traditional route with cams. Modern cams, in general, have become lighter while also becoming easier to use due to favorable ergonomics and offer an increasing number of features. 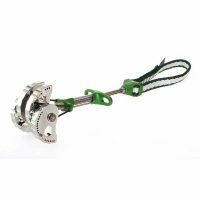 Companies such as DMM, Wild Country and Fixe offer extendable slings on their cams, making it easier for climbers to extend the clip-in point on a sling to make a deep placement more functional, reduce rope drag or improve a placement’s stability by allowing a freely moving sling. Cam companies have made increased efforts to improve cam stability by using dual axles, featured cam lobes, wider cam lobes and using stems that can move more freely and not affect the placement of the lobes. All cam lobes have some manner of teeth to them but companies have branched out from simple the basic teeth offered on early cams to offer other teeth patterns and designs to try to increase stability and security of cam placements. 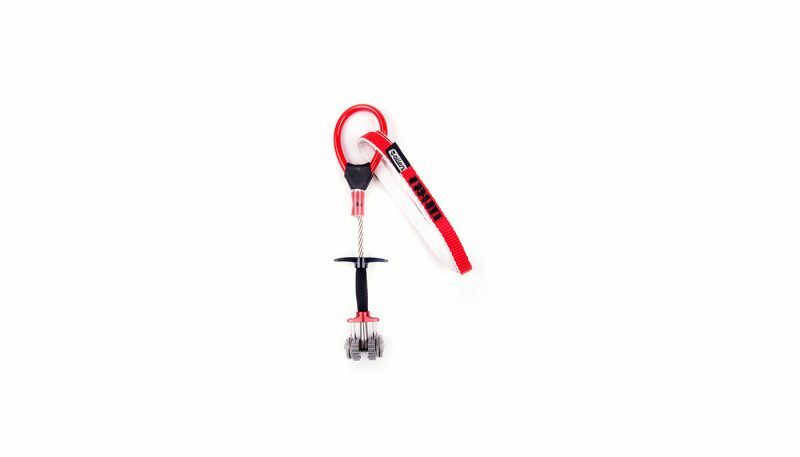 Most cams offer color anodization of lobes to aid climbers in finding the size they are looking for while all include some color scheme of the stem, loop or sling to work to the same effect. 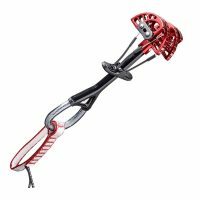 Other features found include Metolius’ RangeFinder, a color-coded system to provide a visual aid in showing climbers where the best placement is. Omega Pacific’s trisected cam lobes make for a unique engineering creation that is visually amusing to watch and offers the widest size range out of any cam on the market. Illustrating that some cams are more niche than others you’ll find a wide range of size offerings in today’s cams. Cams such as the Fixe Alien Revolutions are focused on the small sizes and hence excel at protecting small, tiny cracks including shallow placements. 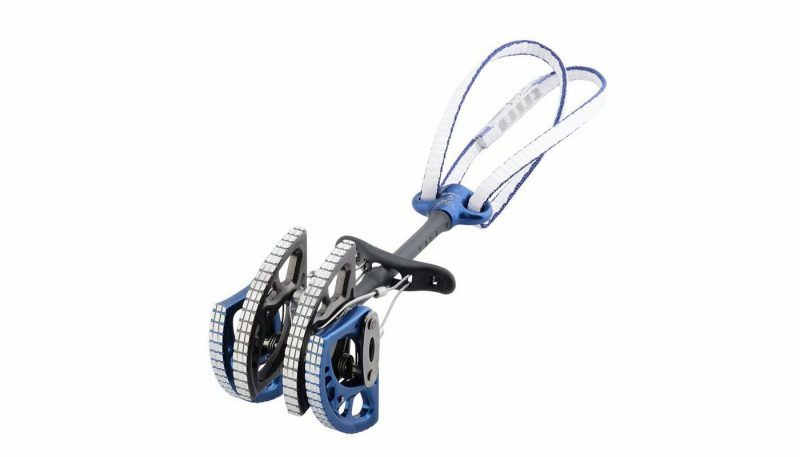 Only four sizes are offered in the Omega Pacific Link Cams while other cams, such as the Black Diamond C4 Camalot and Metolius Ultralight Master Cams, offer a wide size range, giving them the ability to serve as the backbone to a rack. Parallel-sided desert cracks often require the extensive use of cams. Proper and regular care and maintenance of your cams is important to ensure their reliable use. The cam heads, including lobes, axles and springs can be restricted with dirt, sand and other grime. You can wash your cam heads with hot water and a toothbrush to remove any debris that’s limiting motion. Seek out a non-oil based or dry lubricant for your cams after cleaning to maintain the easy operation of your cam. The oil-based ones can attract dirt and you might consider Metolius’ Cam Lube, a wax-based lubricant, designed specifically for cams or a lubricant like Tri-Flow. Regularly inspect your cam lobes, axles, stems, trigger wires, and slings for signs of damage. Particularly with large cams, the lobes can be bent or deformed by accident, such as throwing a heavy pack laden with cams down on the ground. Trigger wires may be the first part to be damaged and need repair although many modern cams are taking greater effort to make trigger wires more durable and longer lasting. Companies such as Black Diamond and Wild Country offer trigger wire replacement kits while most companies, such as Metolius, and some third party services such as Fish, offer mail-in cam repair services of trigger wires and slings. The slings on your cams are likely to be the other part that requires careful inspection, particularly if being used extensively and/or on abrasive rock. 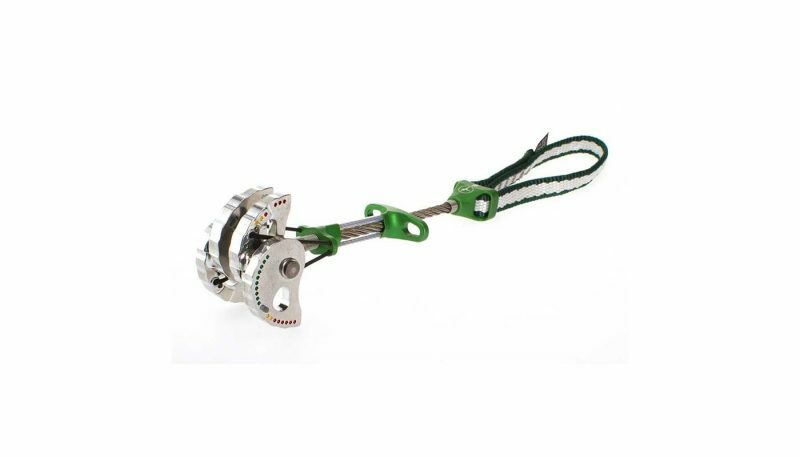 Check with the manufacturer’s recommendations for replacement as some cams use specific sling configuration and stitching to increase the strength of the cam, such as on the Black Diamond C4 Camalot where the sling is stitched tight to the thumb loop. If stitched loosely the thumb loop strength is reduced.